After years of realizing that decoying bucks may be my absolutely favorite way to hunt whitetails, I know that I’m constantly learning. I took my decoy on a trip to the Rosebud reservation in South Dakota. On the Rosebud they have a plentiful supply of both whitetails andmuley’s, but we were going to be targeting whitetails. One of my good friends, Ben Bearshield, was going to be guiding me and he had Cuddeback pics of some really nice bruiser whitetails in the area. I thought we were hitting it just right. 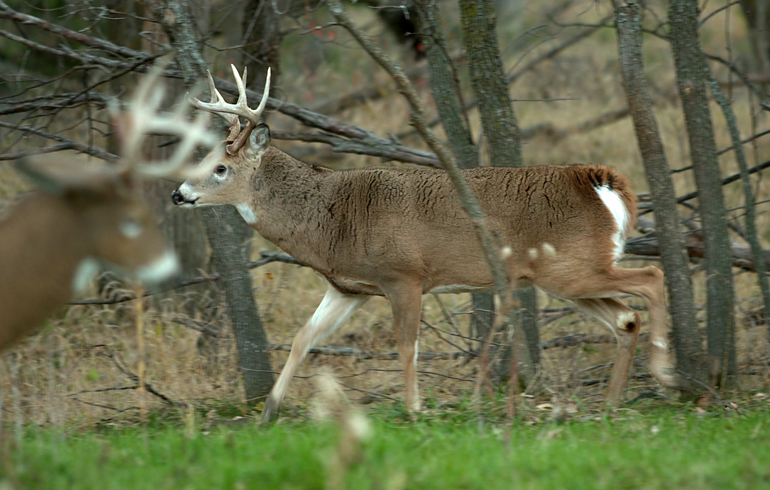 My favorite time of the year, is the beginning of November when fairly cool temps and rutting whitetails all over the place. In my opinion, this is the perfect time to put a decoy to use. I am a big fan of using my Dave Smith Decoy anywhere I hunt whitetails with a decoy. They are so realistic looking that it holds big mature bucks for an extended period of time. Sometimes, that time can make the difference between getting a shot or not. Well this time we had buck after buck coming into the decoy and putting on quite a show. The coolest part was the fact that the mule deer were coming into fight it as well! We had 3 different mule deer bucks all posture to the decoy. 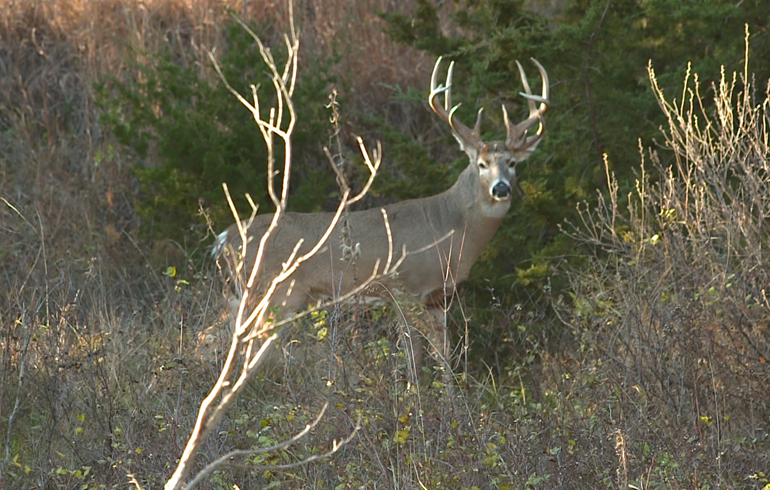 Now they didn’t stick around as long as the whitetails usually do, but it was pretty amazing to see. I had sprayed them down completely with Scent Killer Gold then put out active scrape all around the decoy to add to the setup. I didn’t do too much rattling, but did a couple sets a day to hopefully draw bucks in from a distance that may have otherwise passed by. In the past all the mule deer I’ve encountered are somewhat afraid of whitetails. 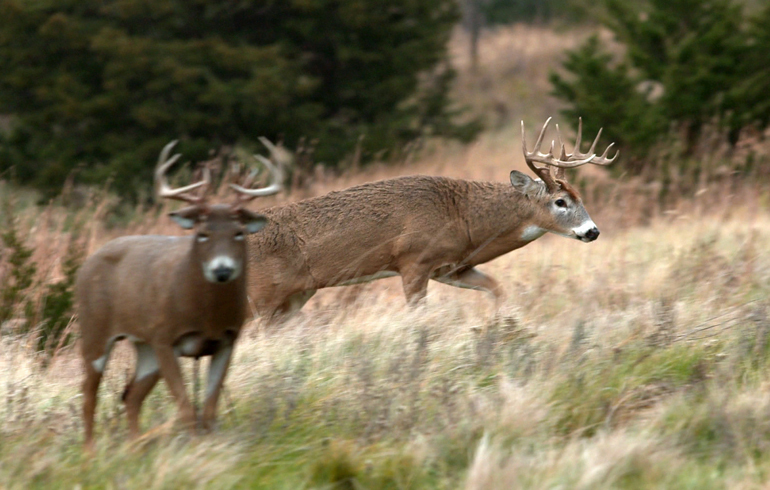 The muley’s usually get pushed around by them and they try their best to avoid whitetails. Well that wasn’t the case in South Dakota, and on the last day in the last 3 minutes of the hunt, one last mule deer came into our decoy, started raking a bush and I made a great shot dropping this buck right next to our blind. Both Ben and I had put in so much hard work. After 13-days of moving blinds, hanging stands, changing our methods to get inside range, we finally got it done and it was truly one of the most rewarding and exciting hunts I’ve been on. We said we were going to pack up at 1, and then I extended it 15-more minutes just in case…and that decoy sealed the deal in the last few minutes and made for one exciting trip.